On the 2018 Global Food Security Index published by The Economist Intelligence Unit, India ranked 76th among 113 countries. This problem is among the deepest concerns of the Sehgal Foundation, which designs and promotes rural development interventions that create opportunities, build resilience and provide solutions to some of the most pressing challenges in India’s poorest communities. In addition to agricultural development work, the foundation team helps rural communities create sustainable programs for managing water resources and strengthening rural governance—with particular emphasis on gender equality and women’s empowerment. With support from donors and partners, the Sehgal Foundation focuses on helping rural communities create sustainable programs for managing water resources, increasing agricultural productivity, and strengthening rural governance. Sehgal Foundation’s grassroots programs address three of rural India’s most pressing and interrelated issues: Water security, food security, and social justice. One of these strategic partners is The Mosaic Company Foundation and Mosaic India Pvt. Ltd., which has joined with Sehgal Foundation on the Krishi Jyoti (enlightened agriculture) project (or Mosaic Villages project), to help farmers in rural India move out of poverty and achieve greater food security. Launched in 2008, the project celebrated its ten-year anniversary in 2018. The Krishi Jyoti project’s primary goal is to enhance farm productivity and empower farmers in the community currently living in poverty so they can lead more secure and prosperous lives. The key mission is to help farmers, most of whom have only a small parcel of land, increase crop yields and improve their livelihoods. This work is done by introducing and promoting more effective farming practices such as the application of balanced fertilizer, the use of better quality seed, and the efficient use and conservation of water. Water augmentation structures are built in the villages and in the schools, where a healthier learning environment is possible with the provision of potable water and decent sanitary facilities. The project extends to the rehabilitation of dilapidated school buildings as well. The program began in 2008 with two villages in Nuh and, by the end of 2017, it reached sixty villages and over 40,000 farmers in the semiarid villages of Nuh district, Haryana, and Alwar district, Rajasthan. Farmers participating in the project have seen yields increase by 20-30 percent, providing them with increased income. Check dams are capturing and storing rainwater to replenish the underground water table. And more children are receiving an education in a safe and healthy environment. “For these farmers, agricultural productivity has increased with the use of better farming practices, improved efficiency in water use and, better water conservation techniques such as rainwater harvesting systems, check dams, farm bunding, etc., which effectively augment the groundwater,” says Sehgal. Globally, small farmers face hard constraints such as unfavorable climatic conditions, low rainfall, high temperatures, and poor soil quality. Smallholder farmers – those with less than 25 acres – work 90 percent of the world’s farms. Many of these farmers are food insecure, struggling to earn a living or feed their own families. In India, average yields are 50 to 70 percent lower than yields of top global producers. Other challenges, he adds, include fragmented land holding, lack of correct information and timely extension services, lack of irrigation, lack of mechanization and increasing labor costs, decreasing soil quality, and inadequate storage facilities, transport, and marketing. In addition to these, the gender-disaggregated society makes smallholders vulnerable to market and climatic risks. Krishi Jyoti has helped close the yield gap with modern agricultural tools and products. According to the Sehgal Foundation, an evaluation study and farmer feedback revealed that overall rates for the adoption of micronutrients for pearl millet, mustard, cotton, and wheat have increased and are being sustained. For onion and cotton, adoption rates were 100 percent and all the farmers covered during the survey were using recommended doses of crop nutrition. The assessment showed improved productivity for those farmers who adopted Krishi Jyoti practices as compared to those who had not. A comparison with control villages during the assessment survey showed a significant difference in productivity levels. Further improvement in productivity is predicted with greater adoption of improved water management practices and technologies. The adoption of new farming practices is increasing productivity of lead crops. Yields in wheat, mustard, cotton, and millet have increased by 21-to-35 percent. A Krishi Jyoti water harvesting structure created the potential for 13 million gallons per year. “This benefited 9,300 villagers and the renovation of twenty schools helped 4,000 schoolchildren to access good education,” Sehgal says. Agronomic expertise has proven invaluable for smallholder farmers participating in the project, Sehgal says. He points out that agricultural extension services (also known as agronomic services) play a crucial role in motivating farmers to adopt sustainable agricultural practices that lead to increased food security and improved rural livelihoods. “Good agronomic advice builds farmers’ resilience to mitigate climate change impacts by expanding and improving locally relevant, cost-effective, and diverse agricultural practices with an effective utilization of technology and information,” he explains. Farmers learn from the project technical guide along with training on and off the farm, and field demonstrations that help to make farming rewarding, Sehgal explains. This includes knowledge-sharing events such as field days and Kisan Sammelan (farmers’ fair) which provide opportunities for other farmers, especially those who are illiterate and women, who otherwise have difficulty accessing information on various aspects of agricultural development. Given the success of the Villages Project, Mosaic announced in June that it will be extending its partnership with Sehgal Foundation through 2021. 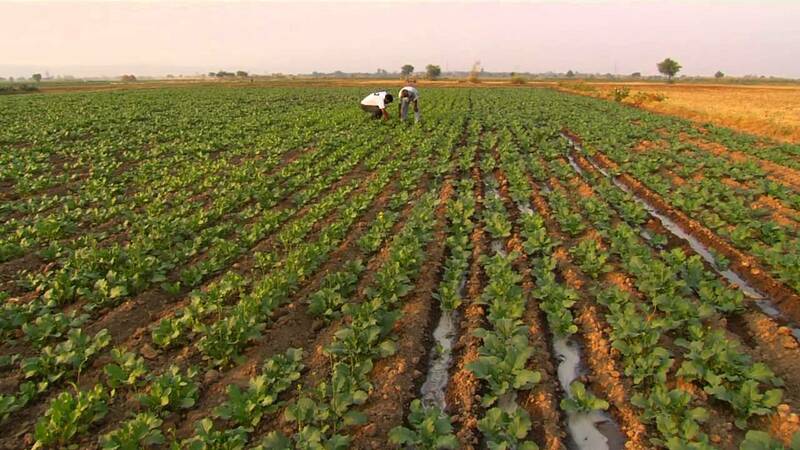 Image: Still from "About Krishi Jyoti -- The Mosaic Villages Project in India" video.